I thank Maggie St. Clair for thinking of me for a show at Urban Durham. 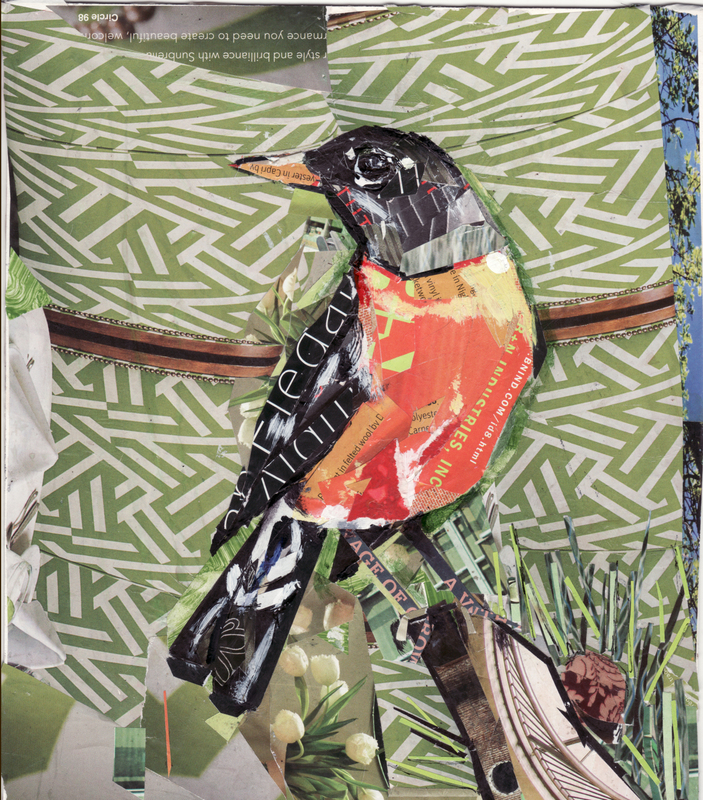 It is an honor and a treat for Durham to have this realty company in it’s midst and my collages in the gallery space for November and December! 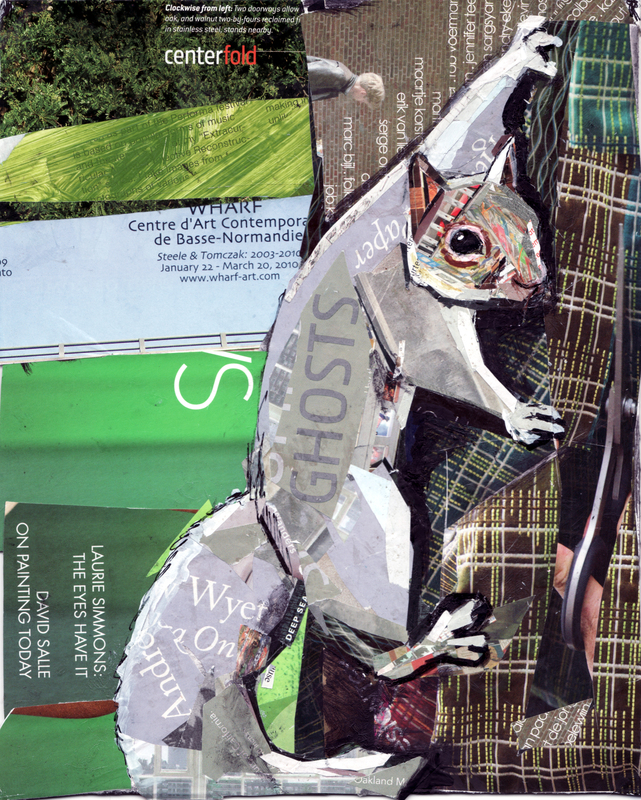 Spirited reflects the lively, happy feelings in these collages. 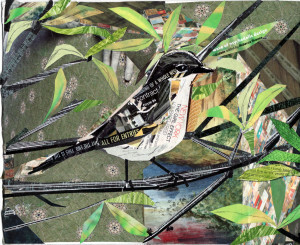 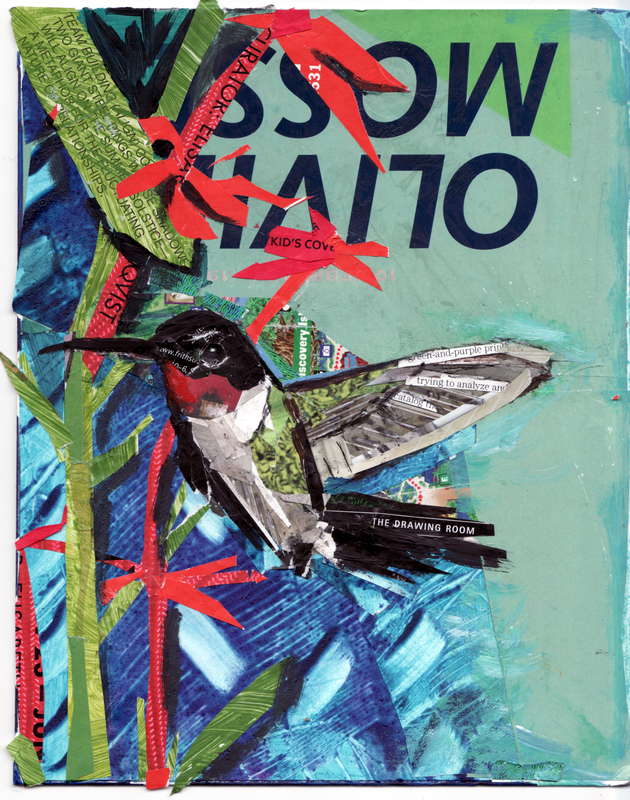 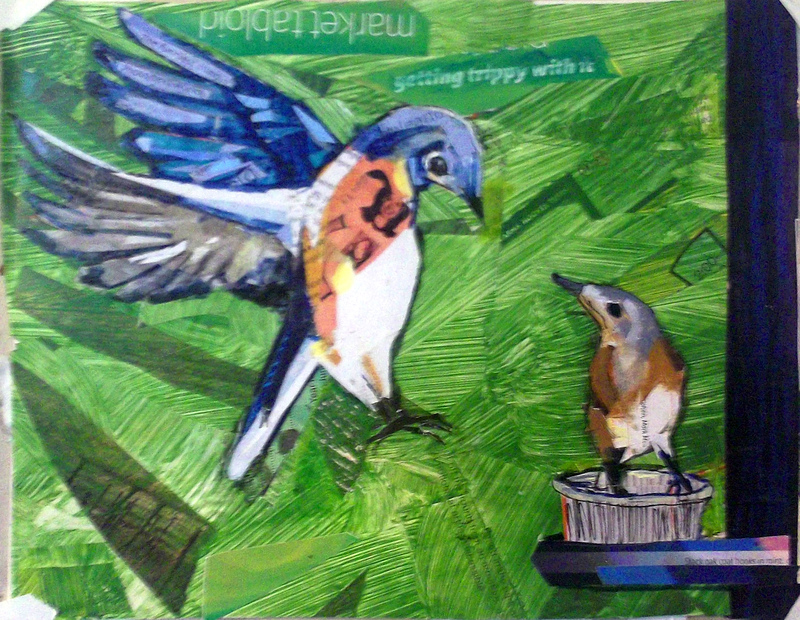 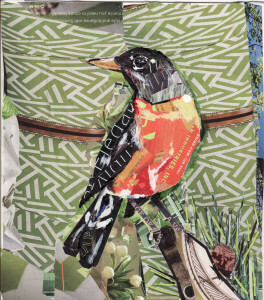 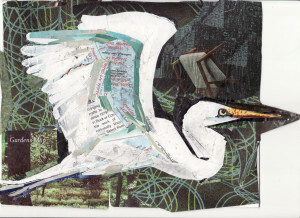 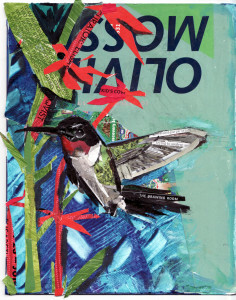 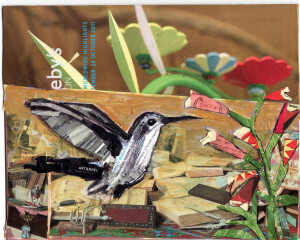 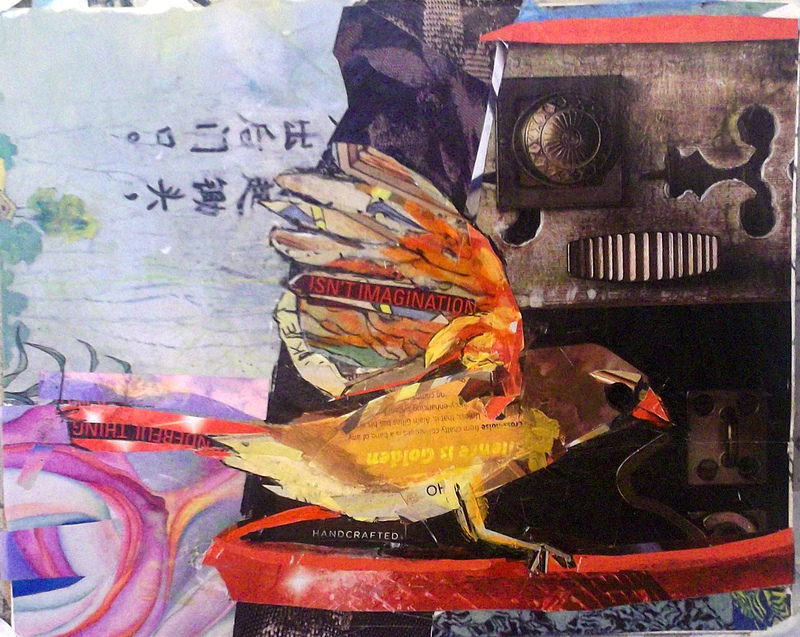 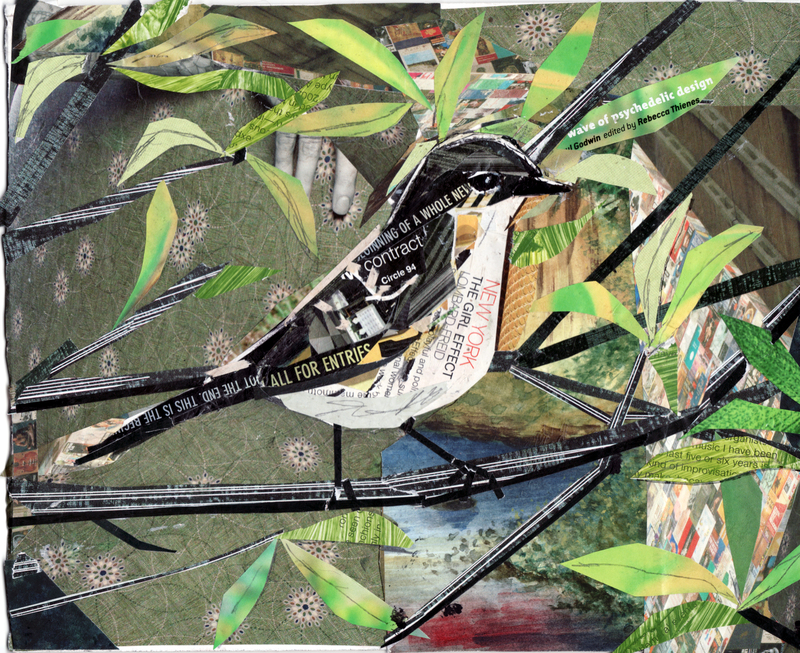 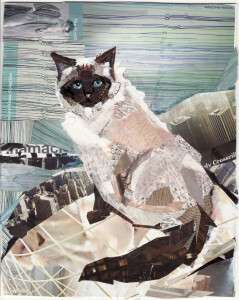 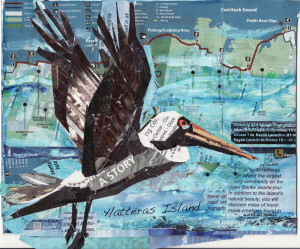 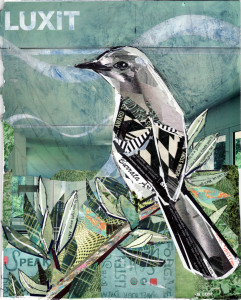 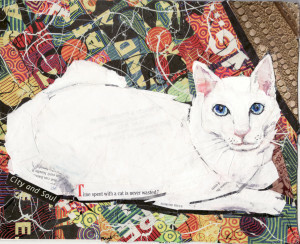 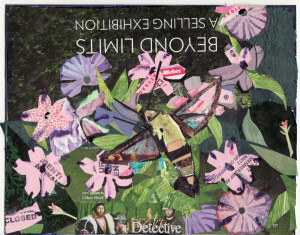 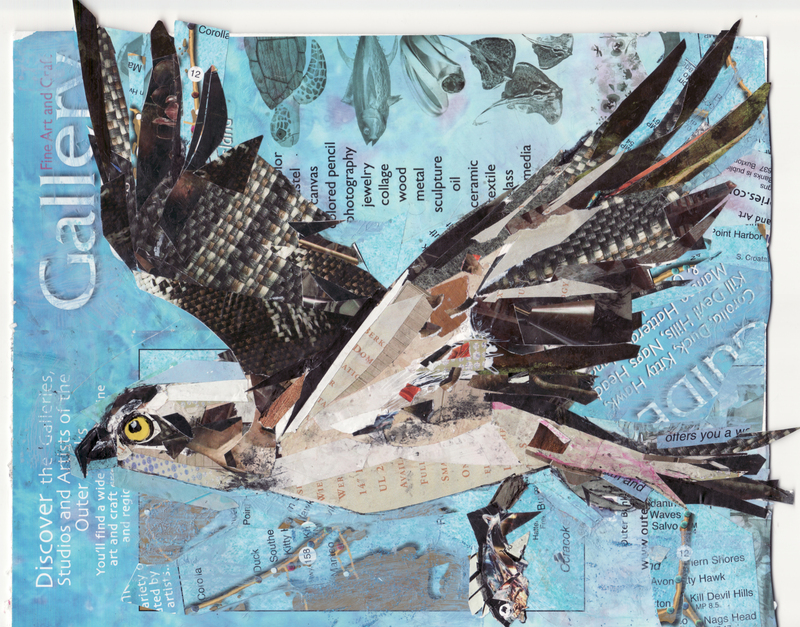 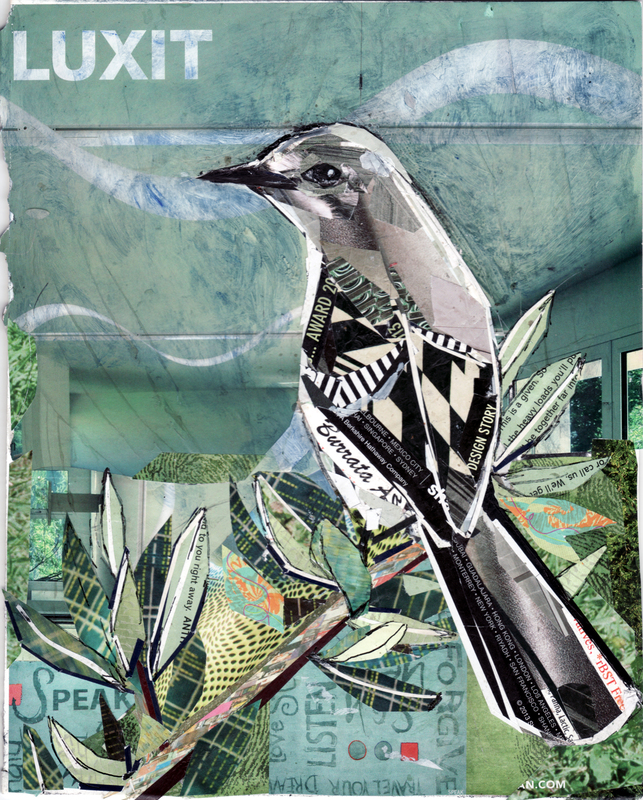 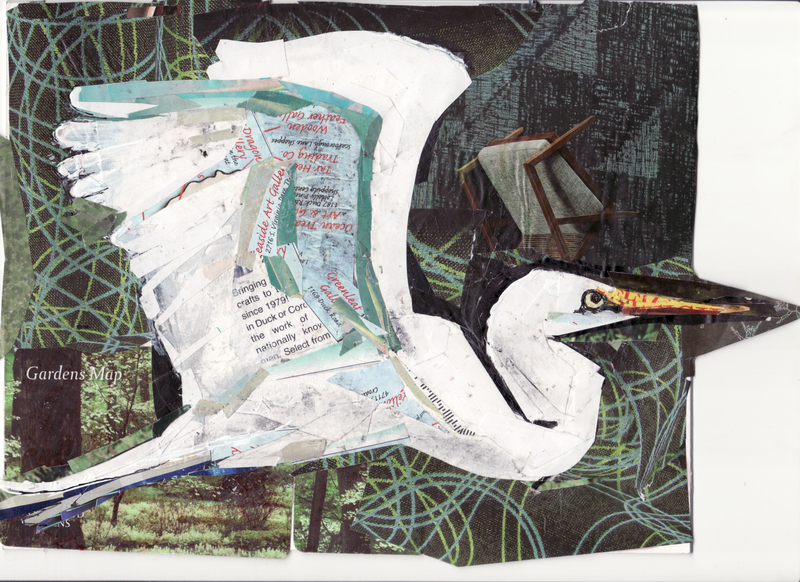 All of the birds, bugs and animals portrayed in these collages are fluttering and diving. 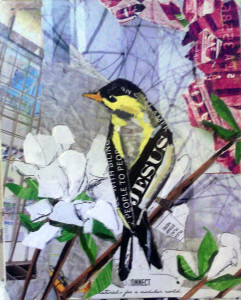 Some of them tell stories of themselves, some about me and some hope you will think a little about yourself. 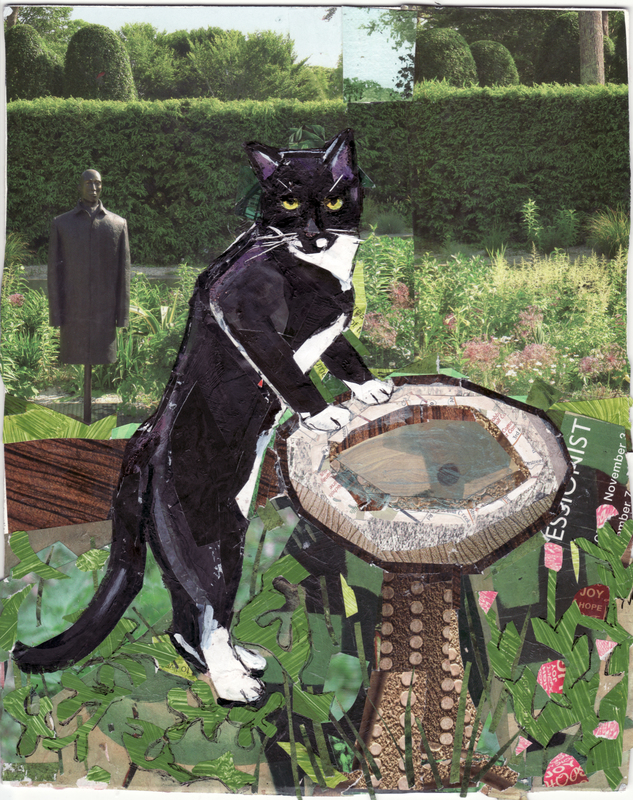 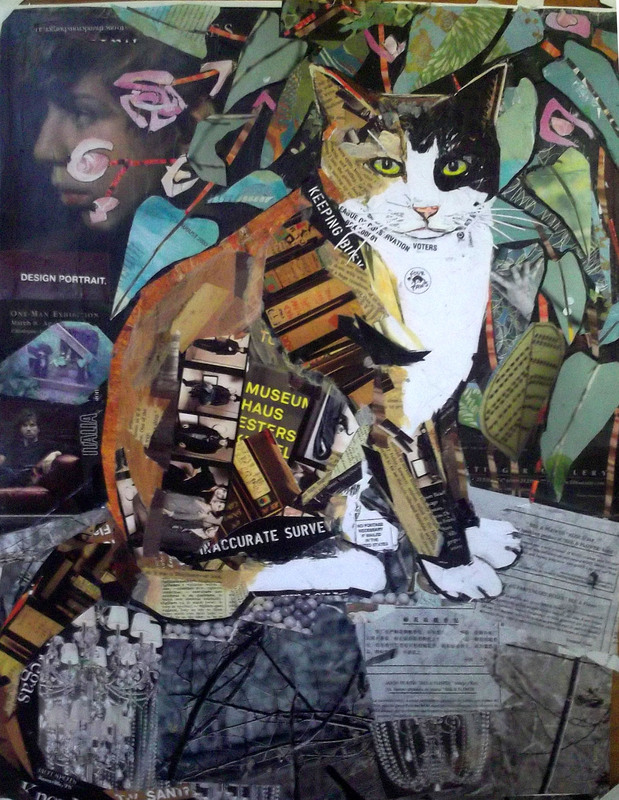 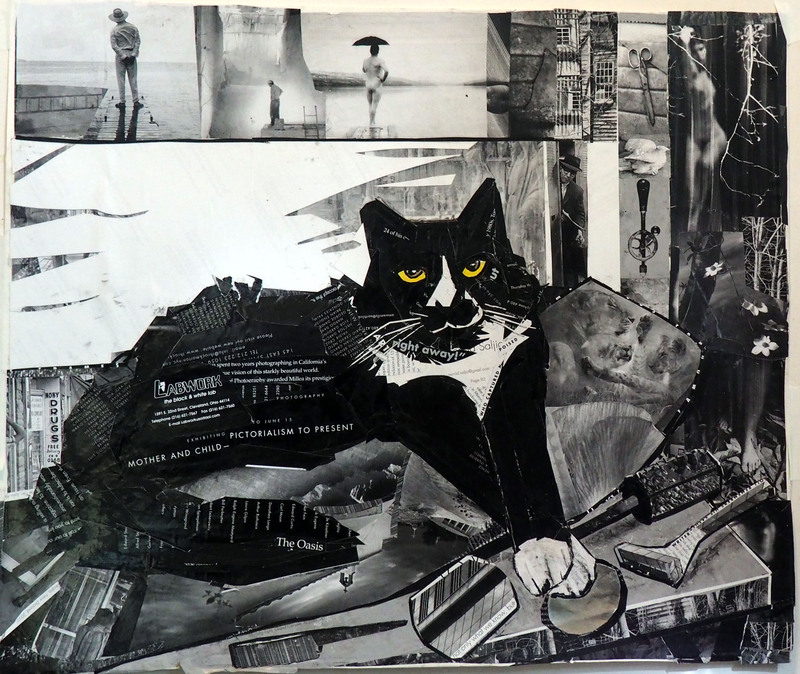 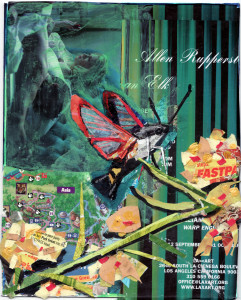 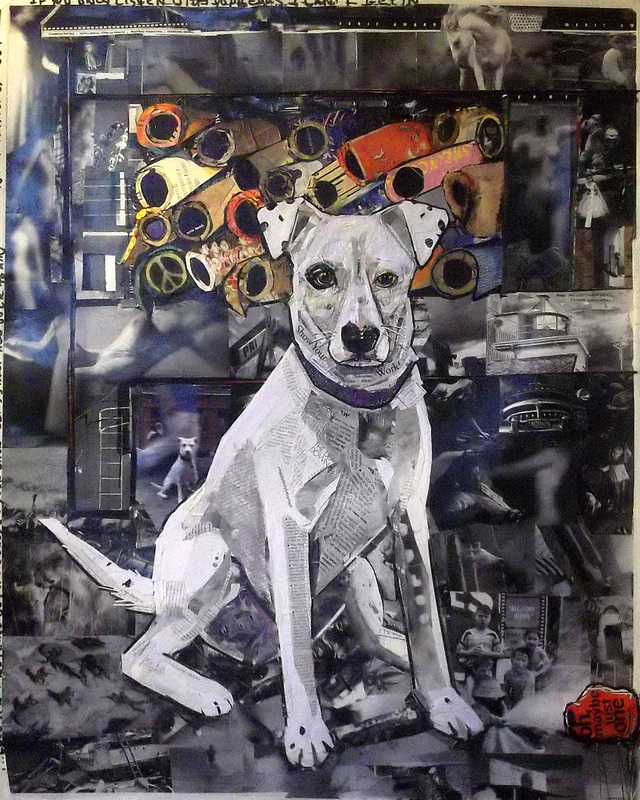 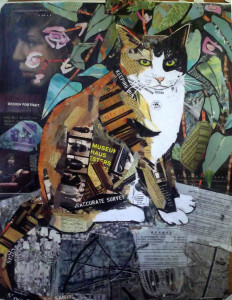 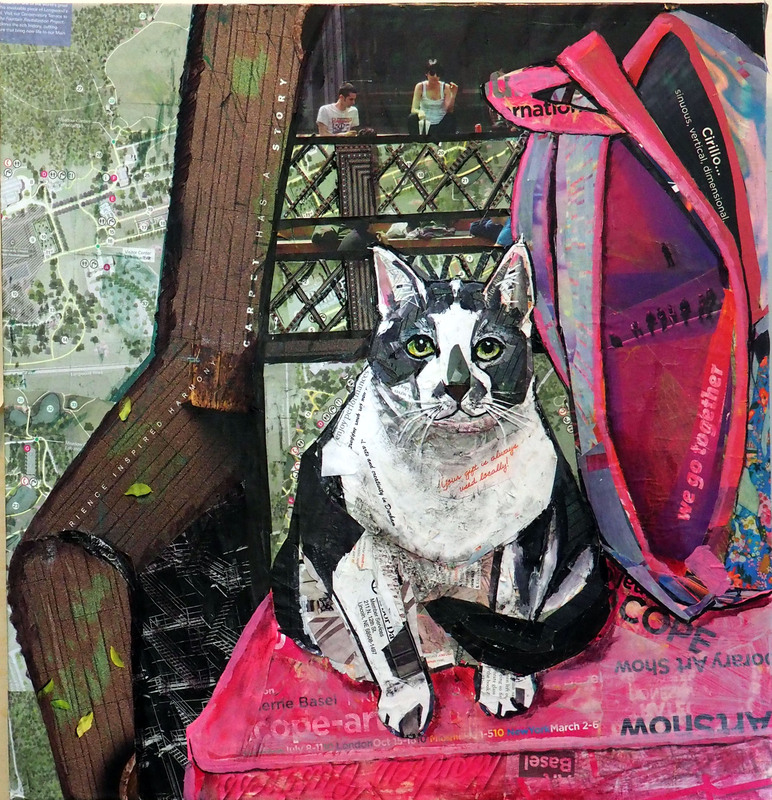 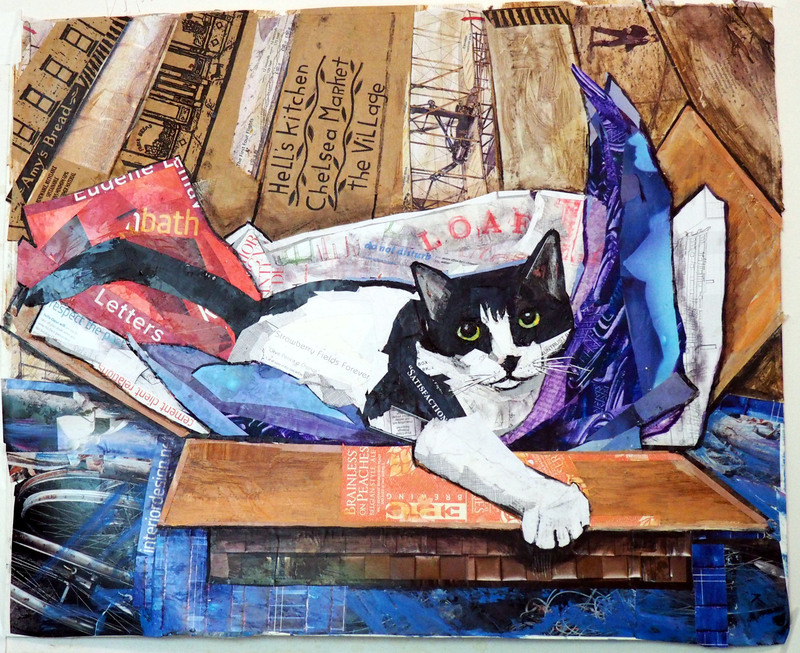 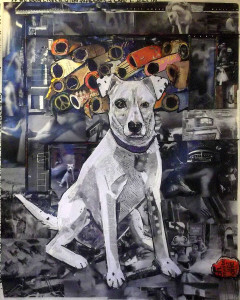 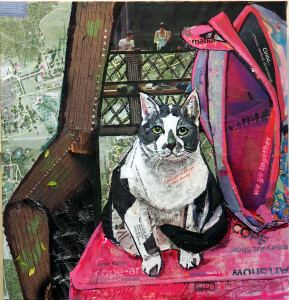 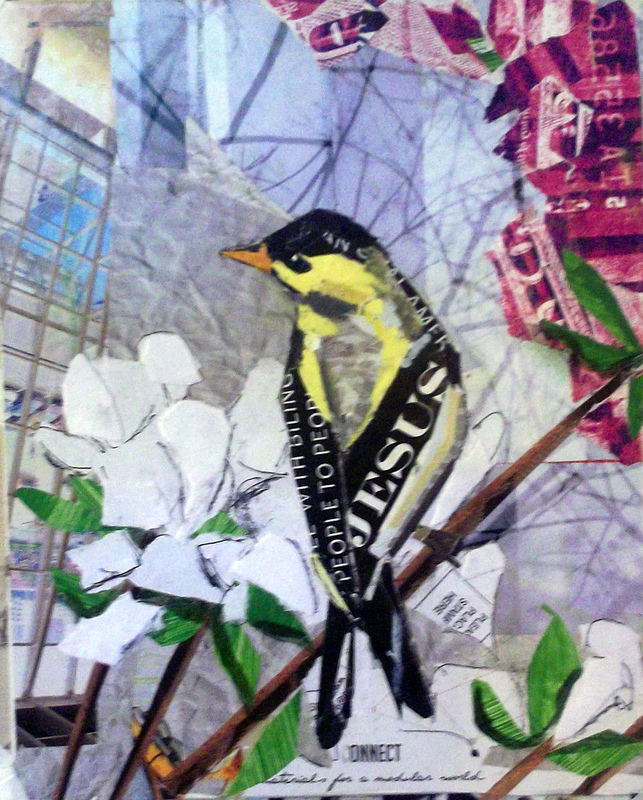 Collage is one of those mediums where another whole agenda can be placed in the composition. Enjoy!